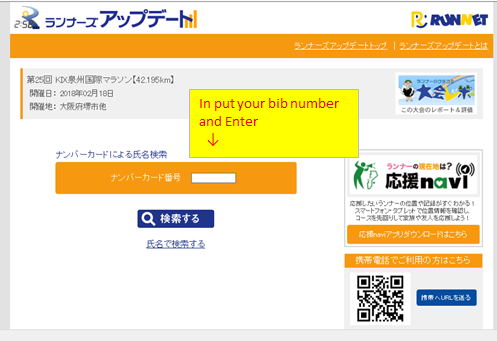 The design of 26th KIX SENSHU International Marathon finisher medal revealed!! 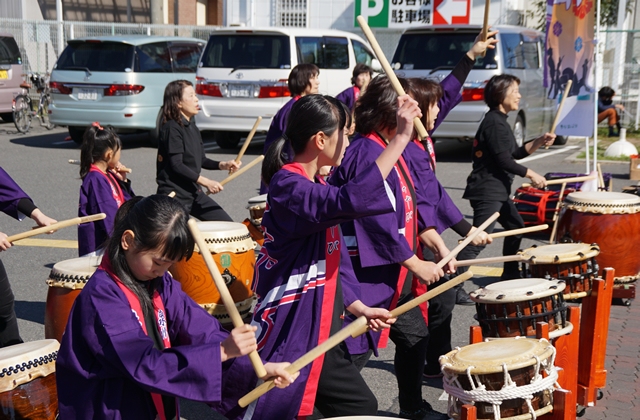 This event takes place in the southern part of Osaka Prefecture, passing through 9 cities and 4 towns. 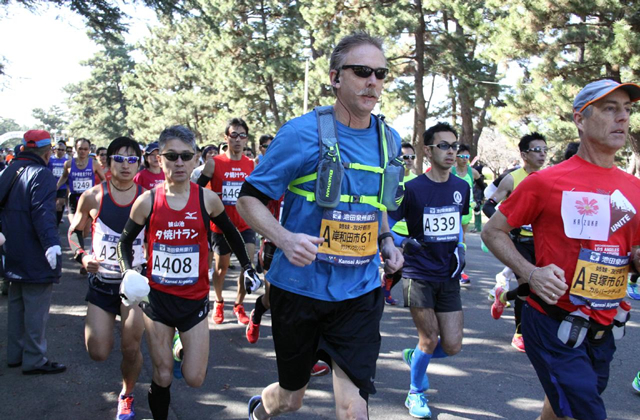 The people of Senshu show great support for this race and appreciate your good conduct from start to finish. 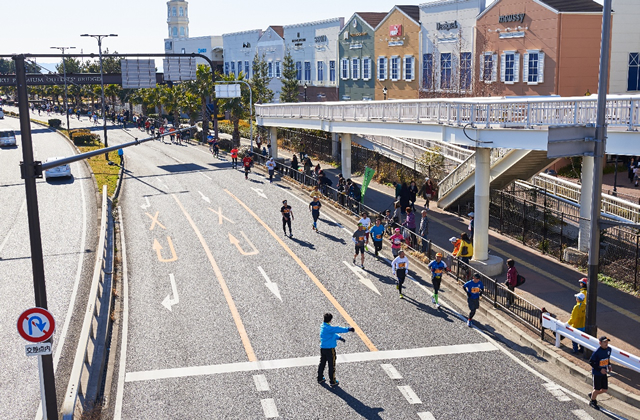 The Senshu area comprised of 9 cities and 4 towns in southern Osaka is promoting the KIX Senshu International Marathon as one of the major sporting events in Japan with over 5,000 runners from across the country and overseas. 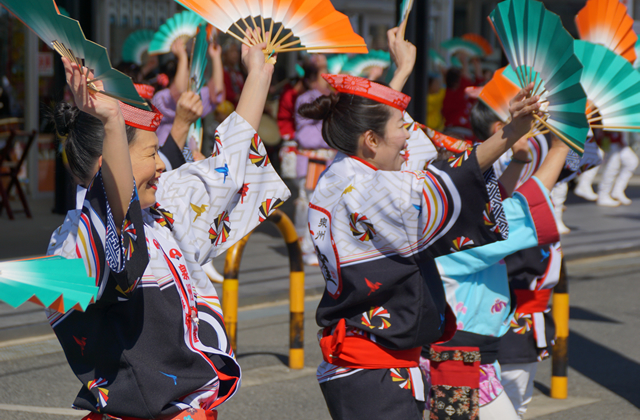 This event was first held in commemoration with the opening of Kansai International Airport in 1994. 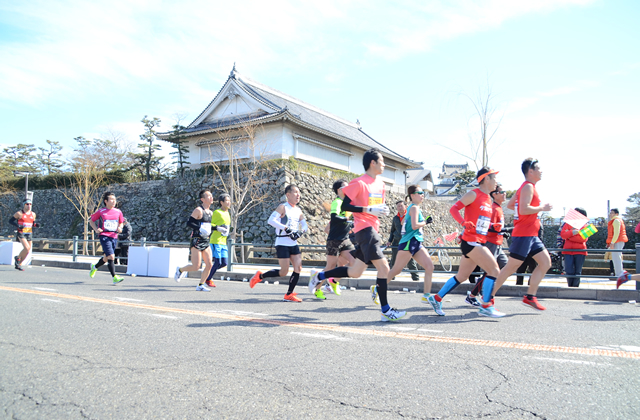 The full marathon starts in Hamadera Park, enters Sakai and then goes to Rinku Park in Izumisano city. A challenge awaits you at the 34km point on route to the finish line. 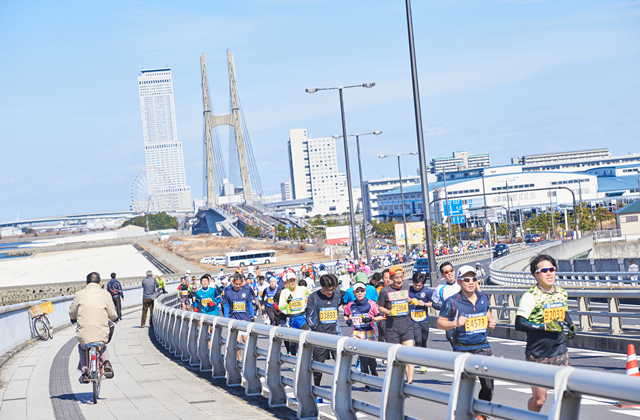 If you feel tough to run full marathon, please join in half marathon. 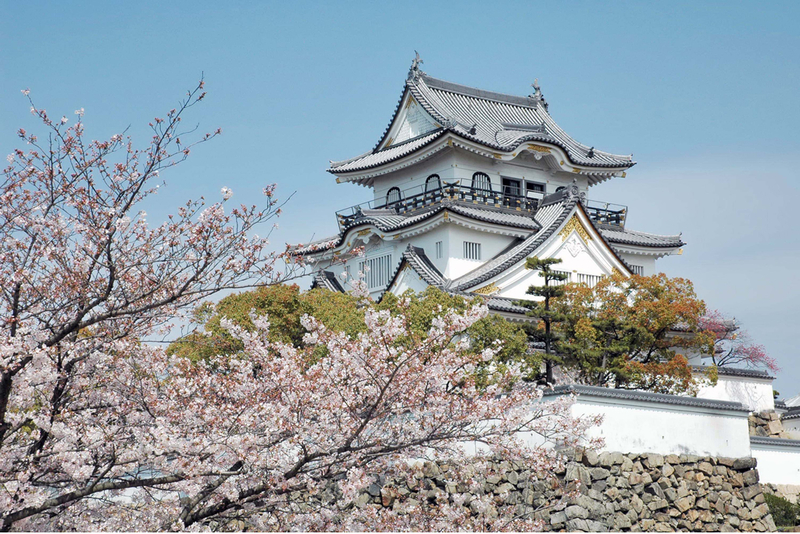 Our marathon's course takes you through the Senshu area where you can view city centers as well as traditional castle. 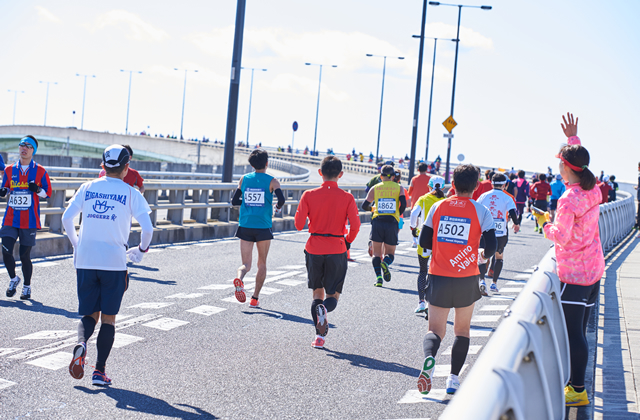 For the final 5 kilometers, you will run along Osaka Bay to the finish line near Kansai International Airport. 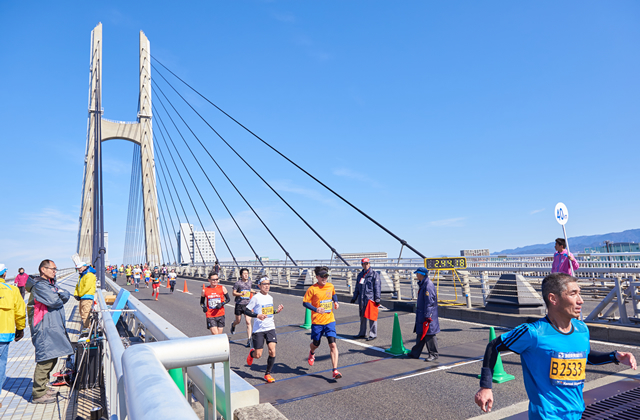 A challenge awaits you at 34km point where two big bridges called the Monster Bridges. 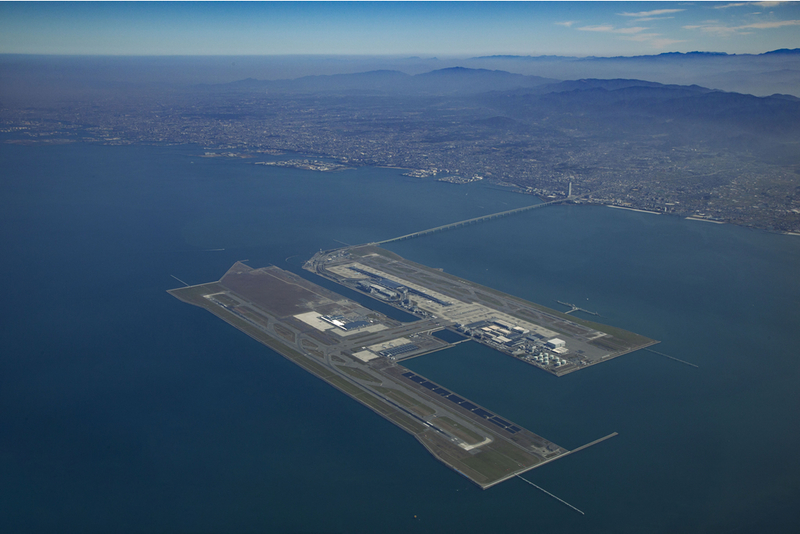 Watch sea gulls glide and airplanes land and takeoff at KIX from the course. 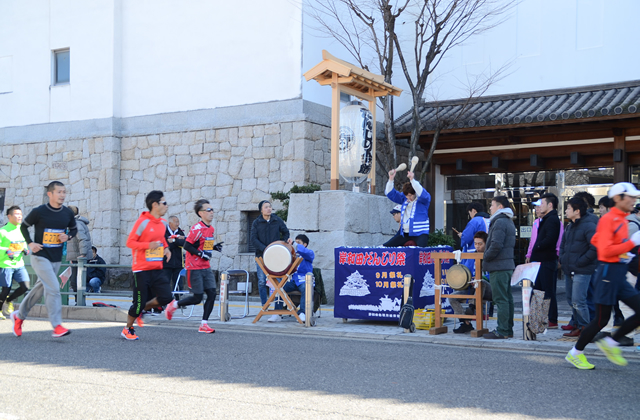 Run to the beat of traditional danjiri festival drums and flutes along the route as you invigorating full-length marathon. 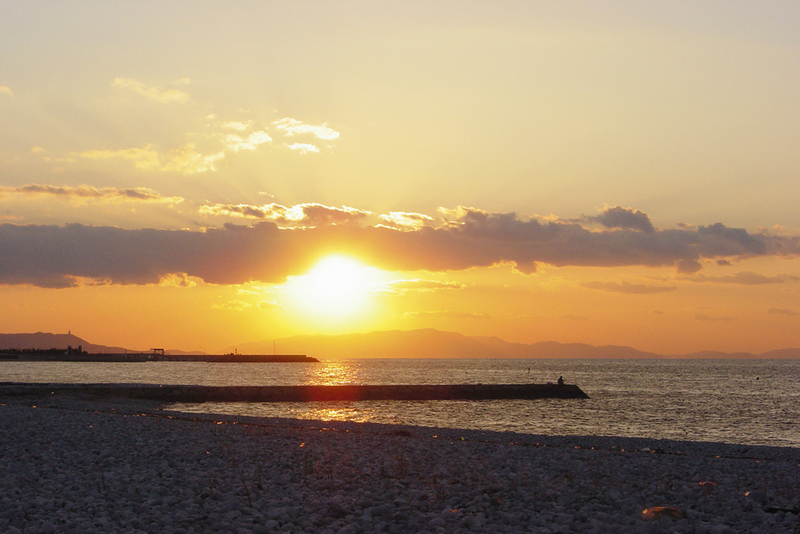 Experience not only the marathon race but also abundant gifts from nature while visiting Senshu. 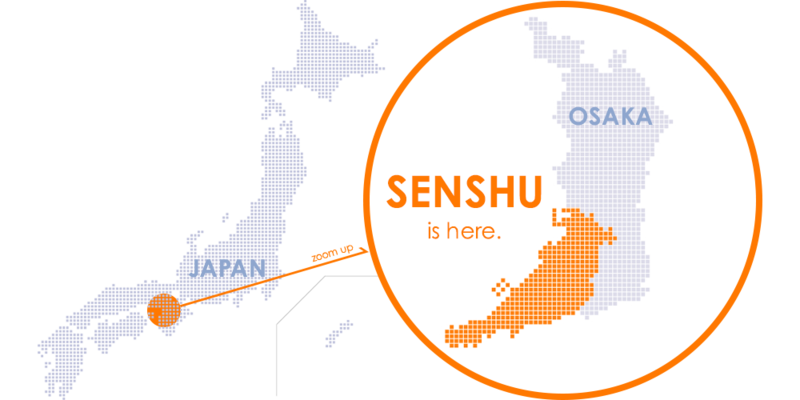 Senshu is a quiet area with a wealth of nature within a 30 ride. 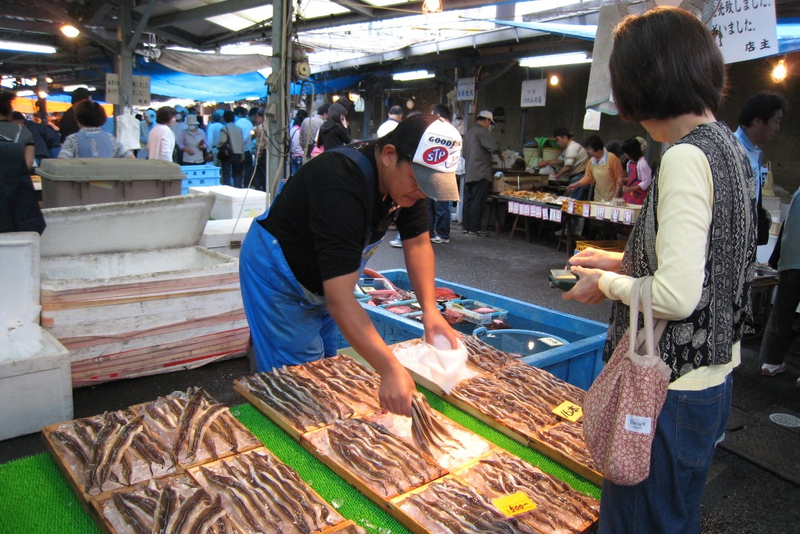 There are many fisherman’s markets where visitors can buy and BBQ fresh fish, clams and vegetables while watching air planes land and take-off in front of a beautiful sunset. 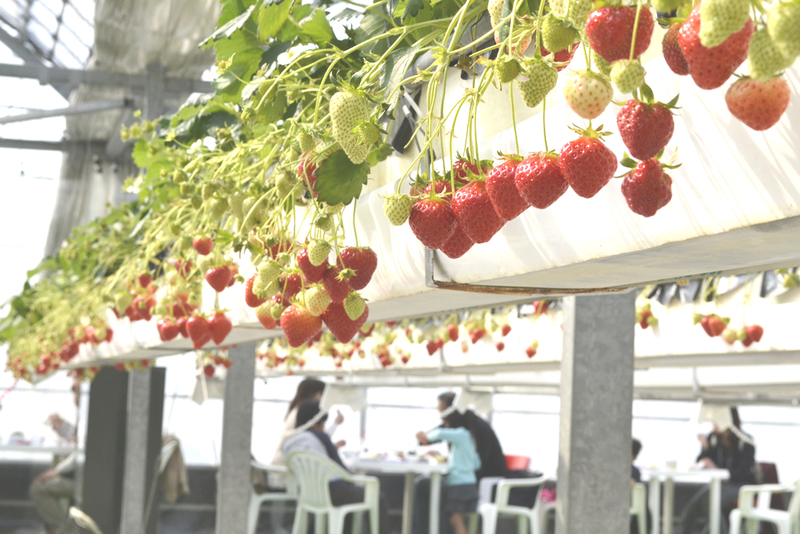 For dessert, how about some fresh fruit such as peaches or strawberries that is grown in the Senshu area. Let’s give them a try!! 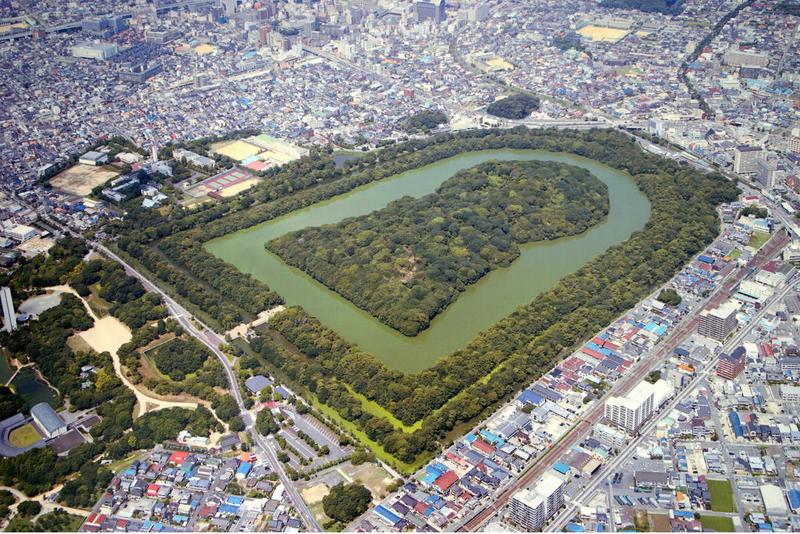 Senshu has some important cultural sites such as Nintoku-Tenno-Ryo Kofun (one of the largest burial mounds in the world), Kishiwada Castle and Danjiri Museum. 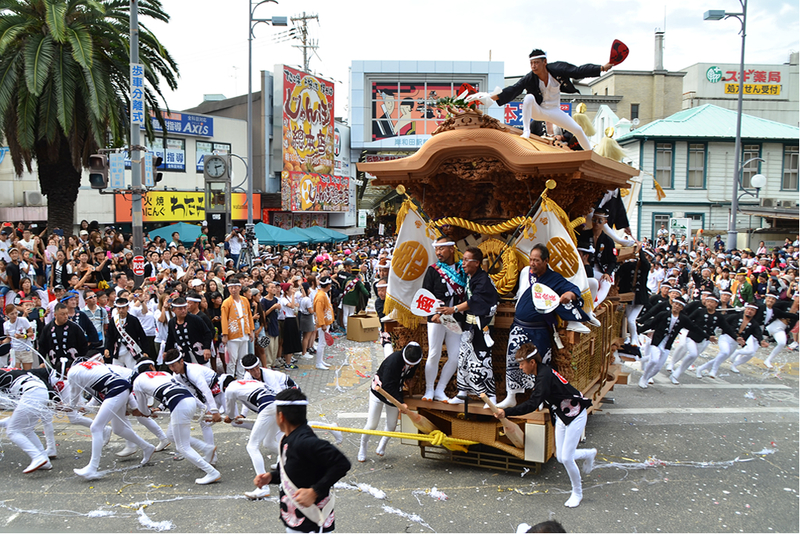 The Danjiri Festival is one of the most famous festivals in Japan and people come from all over Japan to watch it. 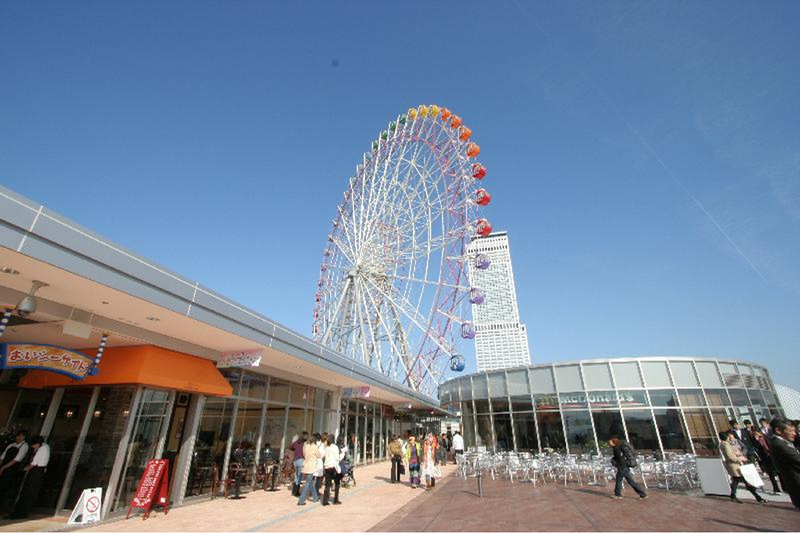 Kansai International Airport is located in the center of the Senshu area with easy access to Senshu as well as Osaka City proper. 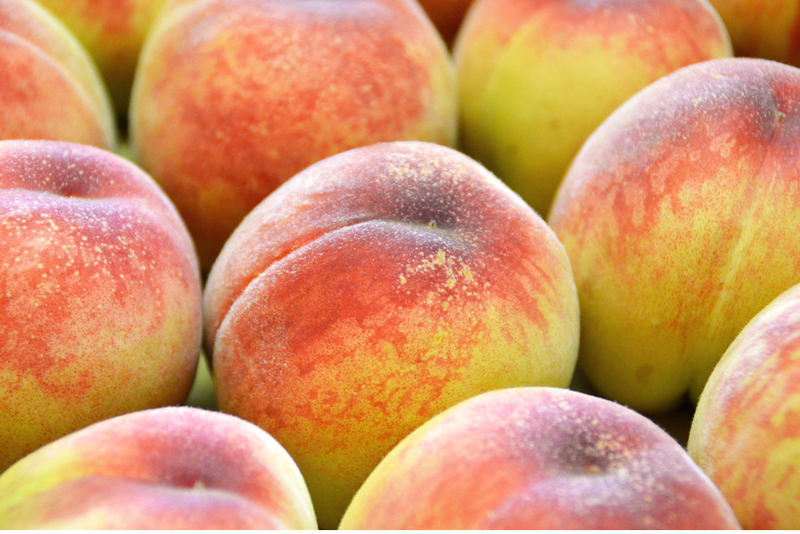 We are looking forward to meeting you.